It's time for another curry! 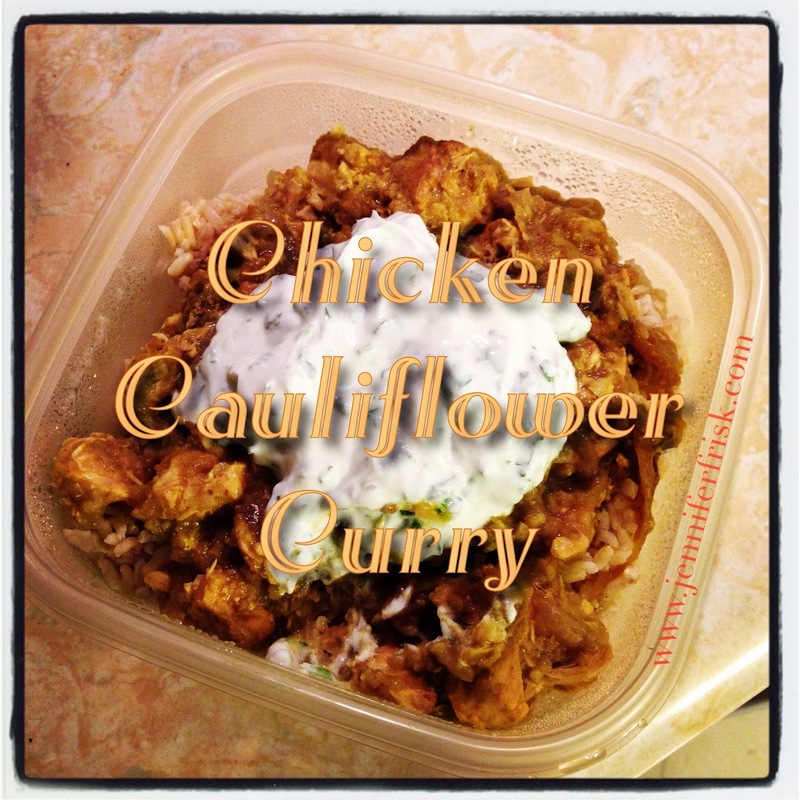 This one has a bit more of an Indian flair than a Thai flavor, but it is still amazing. Even better? It cooks all day in the slow cooker with minimal prep work. Wins all around! Combine spices, cornstarch, and garlic in a large Ziploc bag. Shake chicken pieces until evenly coated. Combine contents of bag with onions in the slow cooker. Place frozen cauliflower on top and cook on low 6-8 hours. Just before serving, combine yogurt with cilantro. Serve curry over rice, naan, or flatbread. Finish with a dollop of yogurt mixture.